I recently had the very distinct privilege of visiting the Rotel Factory in Zhuhai in China. Although the factory is no longer in Japan the company is still owned by the Tachikawa family that founded it in Tokyo in 1957 as The Roland Company. Initially they were manufacturing Sylvania TVs for the US market and then in the 1960’s moved into Hi Fi as an OEM supplier for Yamaha, Marantz, and others. Rotel branded products were first sold in 1961. The founder Tomoki Tachikawa is 91 years old and still visits the Factory from Japan regularly. It transpires that he is a lifelong friend of Alex Encel and Interdyne of Australia is by far the longest distributor relationship with a fifty year marriage. 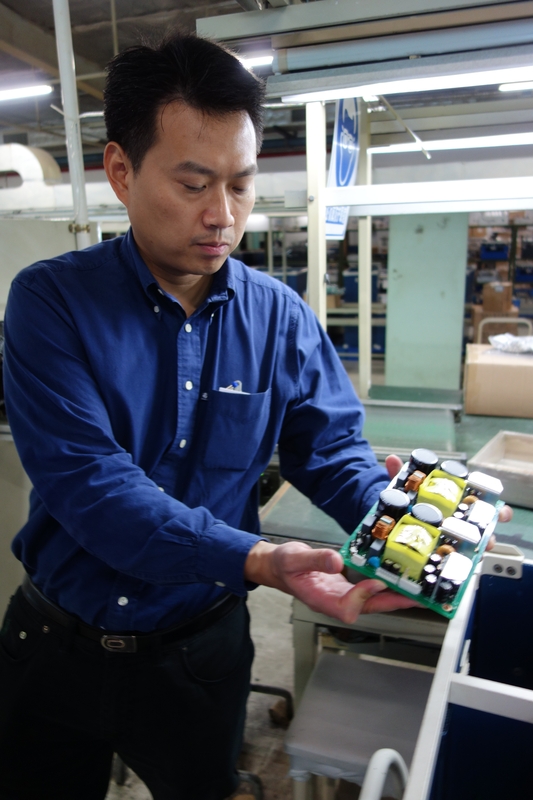 These days the company is run by Mr Tachikawa's grandson Peter Kao pictured here holding a newborn Rotel amplifier circuit. Uniquely in amplifier manufacturers almost everything of a Rotel product is built in house. 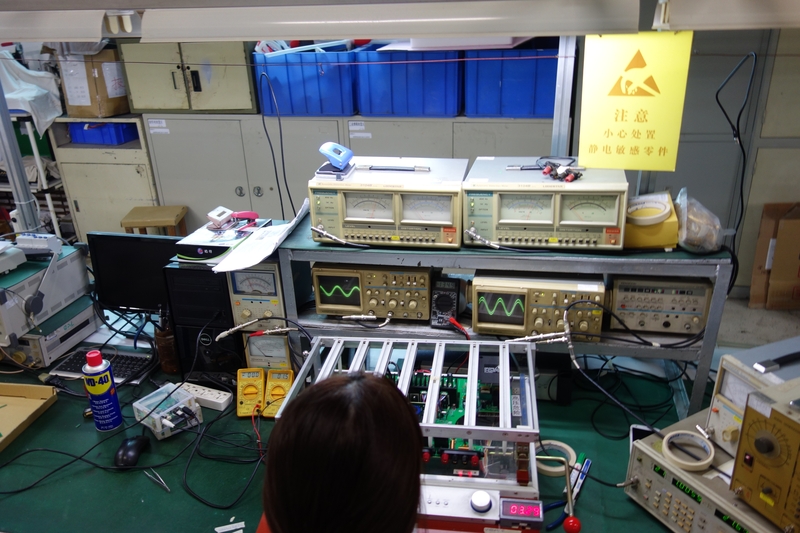 They are very proud to have their own SMT (surface mount technology) facility which was a massive investment but allows absolute control over circuit build quality of a basic component that is very vulnerable to QC issues if outsourced. 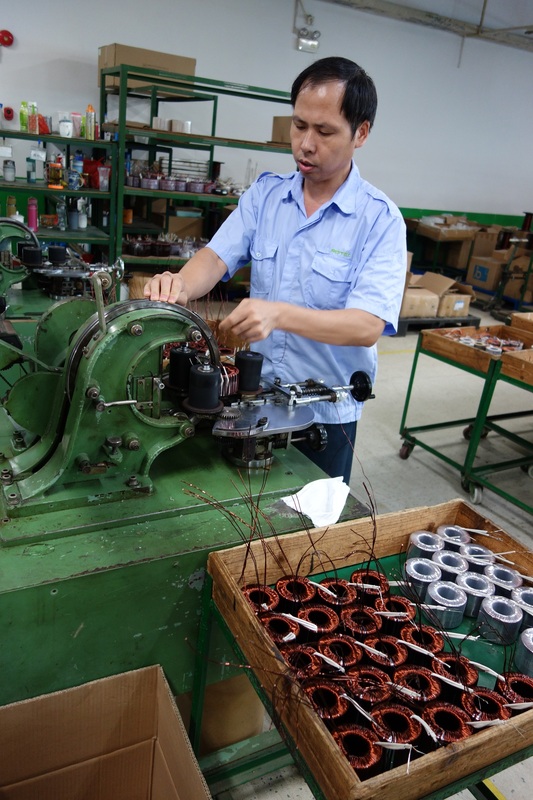 Rotel also have their own toroidal transformer production line. As part of their “Balanced Design Concept” they made the decision a long time ago that they didn’t have the confidence in outside suppliers to make power supplies. These are wound by hand in house on machinery that looks like it was used for making Mitsubishi Zeros in WWII … they are genuinely fanatical about their quality in very minor and very major details. The copper they use for their winding has to be a particular copper of exacting chemical constitution and they are assembled to exacting tolerances then put in a hot oil pressure bath and baked for 48 hours and finally kiln dried. These are very expensive items to make but are critical to the performance of an amplifier which is why so much effort and passion is expended in their production. I was very struck by the internal culture of the factory. 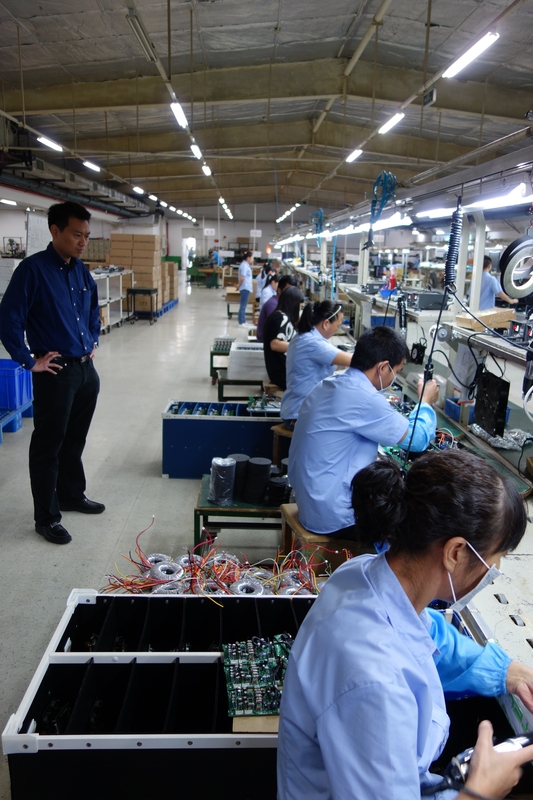 This is no sweat shop or Foxconn. Peter Kao walked the floor with the accustomed intimacy of a farmer on his family land and handled the fruits of his labour with that same touch that I have seen between mother and child. I understand that when the factory first opened 10 years ago the workers would generally arrive on bicycles, now they all have motor cars. They have food provided and accomodation if required, they are well dressed and polite and seem to be content. Everything is clean and neat and smells good. There is a tangible sense of optimism and purpose that prevails the organisation. Even the basic Rotel RA10 amplifier uses one of these hand wound copper doughnuts that is completely free of buzz, hum, or rattle. 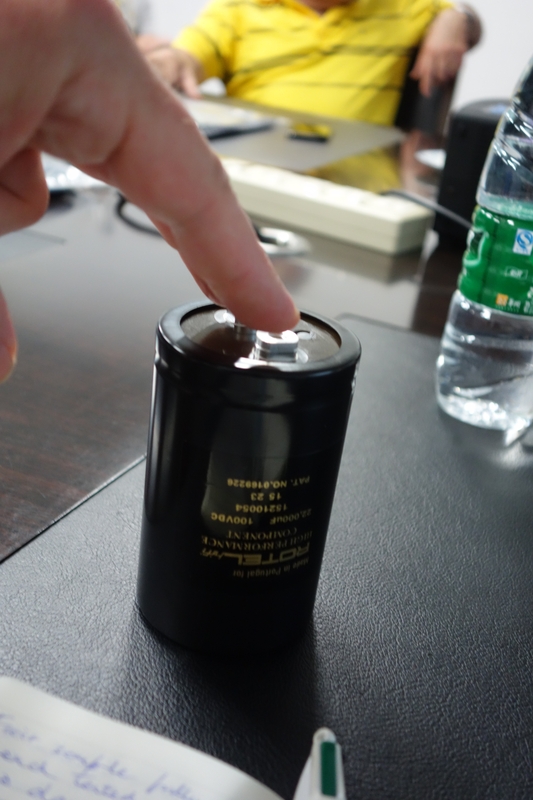 Another example of the attention to detail in passive component quality is in Rotel’s use of slit foil capacitors. In fact all Rotel amplifiers are built around the same basic principles. Independent voltage regulators, bulk storage capacitors and star grounding techniques provide for an ultra low noise power supply. Sensitive power circuits are placed away from transformers for a lower noise floor. Mirror imaged left and right channel circuits are used for stable stereo imaging. Short circuit paths minimise mutual interaction and crosstalk and ensure minimal signal degradation. Their engineers are given absolute autonomy to source component parts to achieve the best acoustic result and go all over the world to get the best quality. Each sample is fully bench tested for two days before listening room trials are undertaken. Minor differences in parts and materials make a significant difference to the sound quality. Acoustic and Audio tuning is actually carried out in the UK by a team of dedicated Hi Fi engineers and I had the particular experience of spending time with their chief technical officer Daren Orth in the Zhuhai facility. The new RC1590 is the preamplifier that the engineers wanted to build, without any regard to cost considerations. The volume IC used on this is $37US … triple the cost of the next model down. It uses an AKM DAC that brings out the expression of the music and supports DSD. It has separate Analogue and Digital transformers and is Bluetooth APT X for those phones that will support it. We have the RC1590 preamplifier ($2699) on demo along with a pair of the superlative 500 Watt RMS RB1581 Mono Power Amplifiers ($2999 each) … the grip and depth they can exert on a loudspeaker is astounding. The soundstage is pulled completely out of the loudspeaker box and hung in space for inspection by the listener. Historically Carlton Audio Visual have had a very mixed relationship with this brand. When the store first opened in 1991 we were actually granted a Rotel account by the distributors and I was able to purchase a small amount of floorstock and expected to go forwards purveying this and Loewe Televisions. At the time they were highly desirable brands for a specialist retailer. Then we were sacked. Never really found out why. Possibly it was a retail manager with influence in the distributors Richmond Store that felt we were too close for comfort. Or perhaps another retailer with an established relationship that may have branded us a competitive threat. Possibly we were too small a business when we opened for anyone in the distributor to care. It was a serious kick in the stomach to a start up to suddenly lose both its planned TV brand and it’s lynch pin mid fi stereo product. This turned out to be one of several incidents around product access to the then new business. Promised supply arrangements with tier one brands were pulled from beneath our pen just before it touched contract on other occasions. I came to realise that this was par for the course in an industry of blokes on blokes who spent a lot of time together drunkenly talking football and prostitutes in evening dealer meetings. It took over twenty years for Rotel and Carlton Audio Visual to come back together. For that time Rotel was a highly effective brand competitor to our products, quite often our customers for speakers would buy a Rotel amplifier .. oh the pain. These days we have a growing and mutually nurtured relationship with the Rotel distributor that reflects a strongly comingled interest and passion for our particular industry. This time we really are looking forward to some sunlit uplands with this brand.